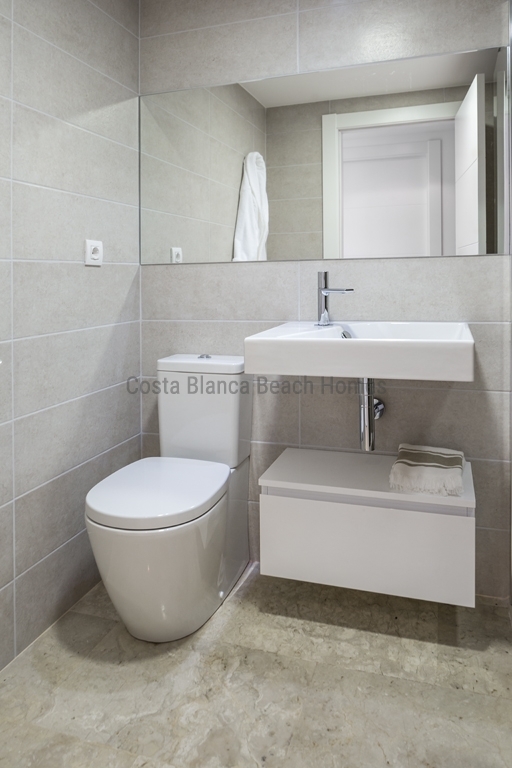 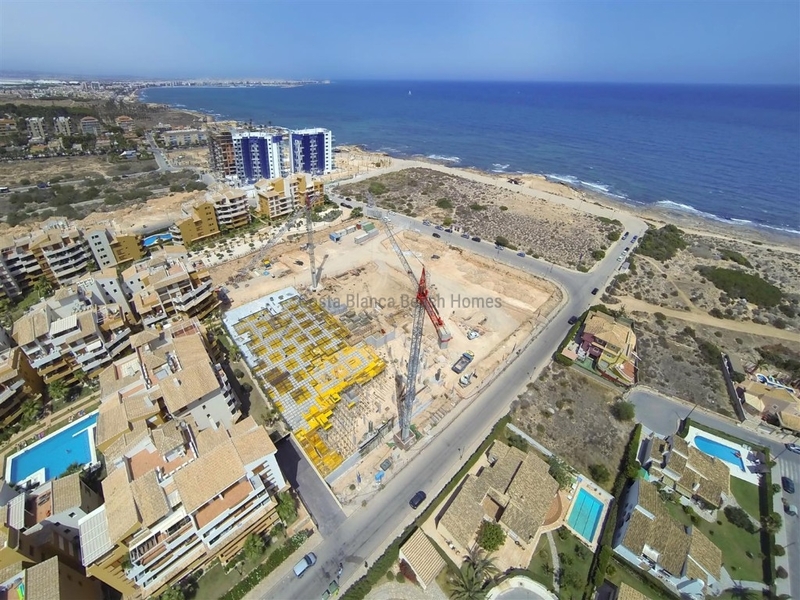 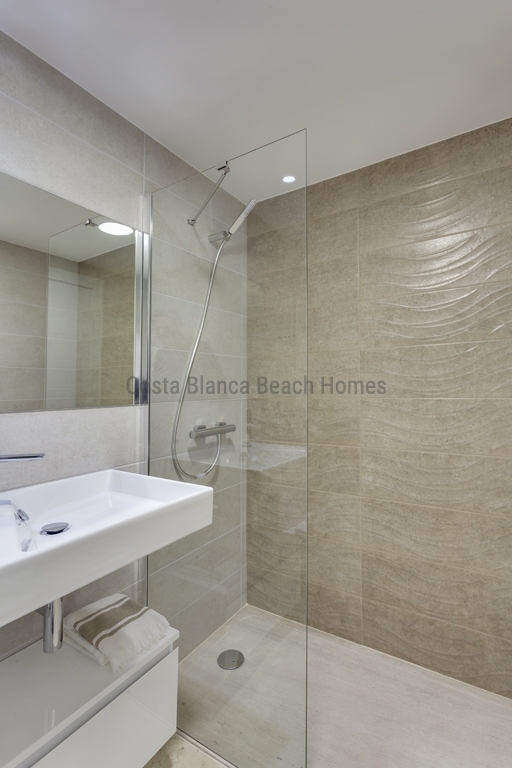 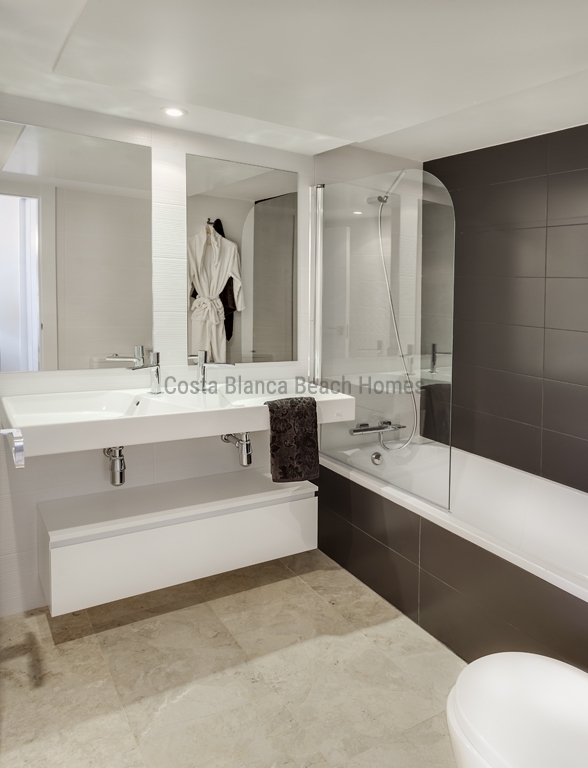 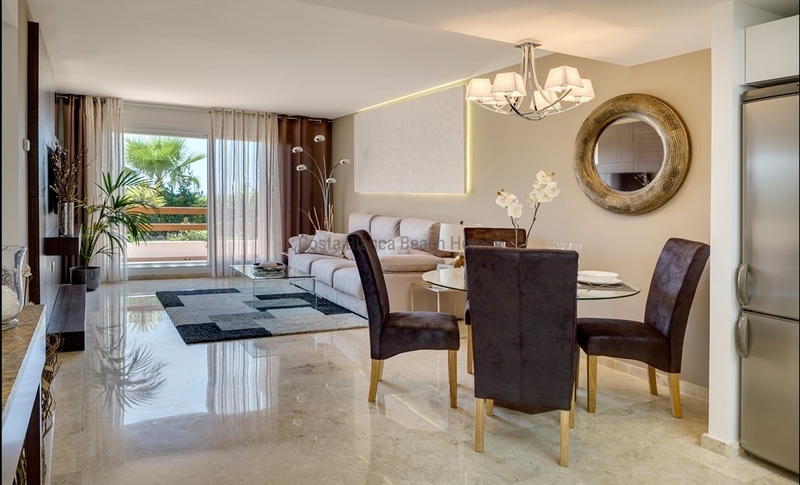 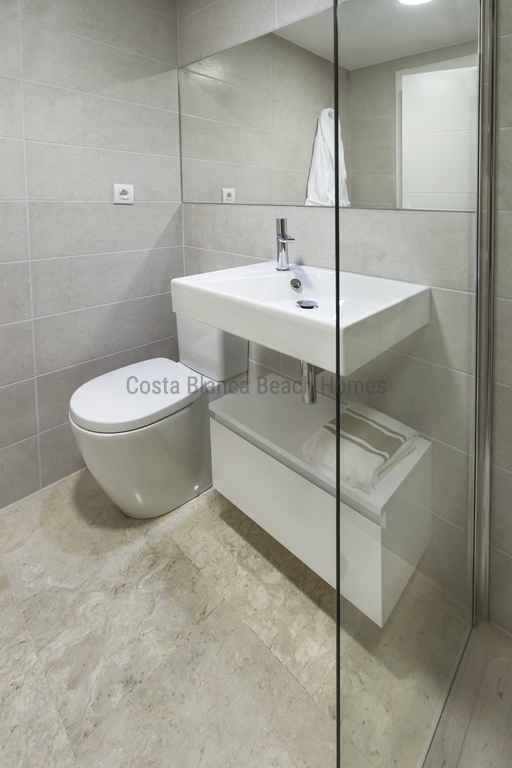 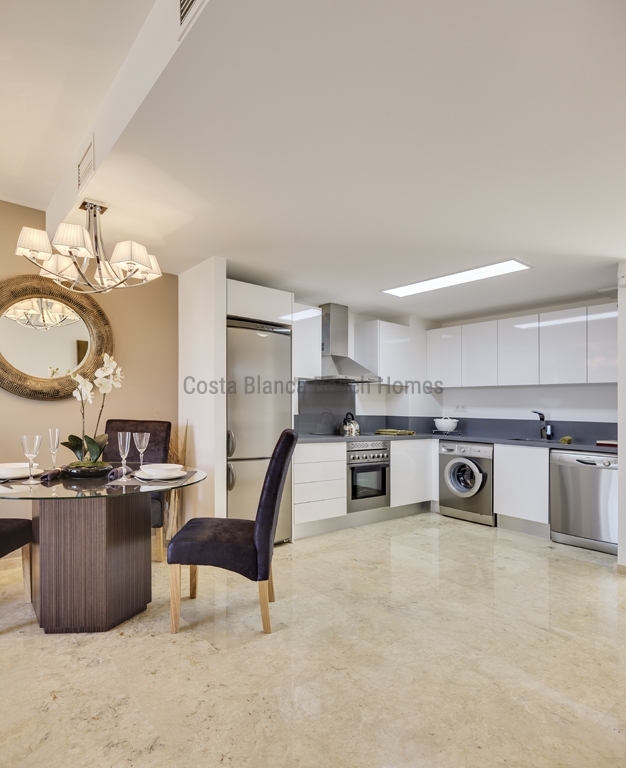 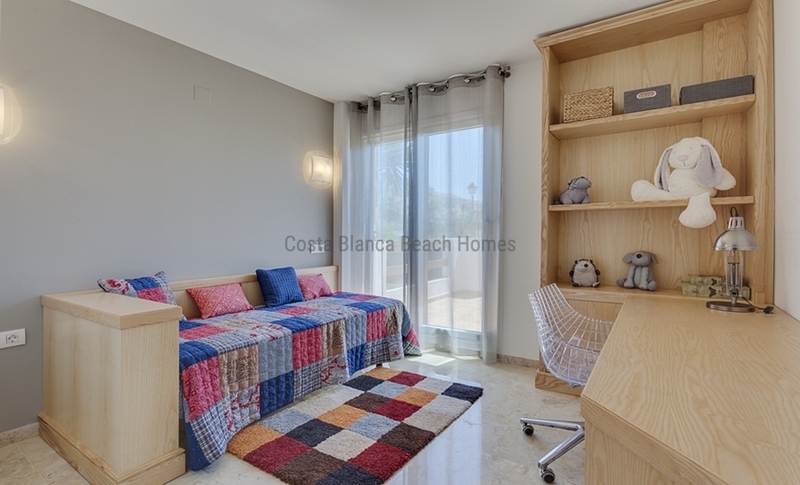 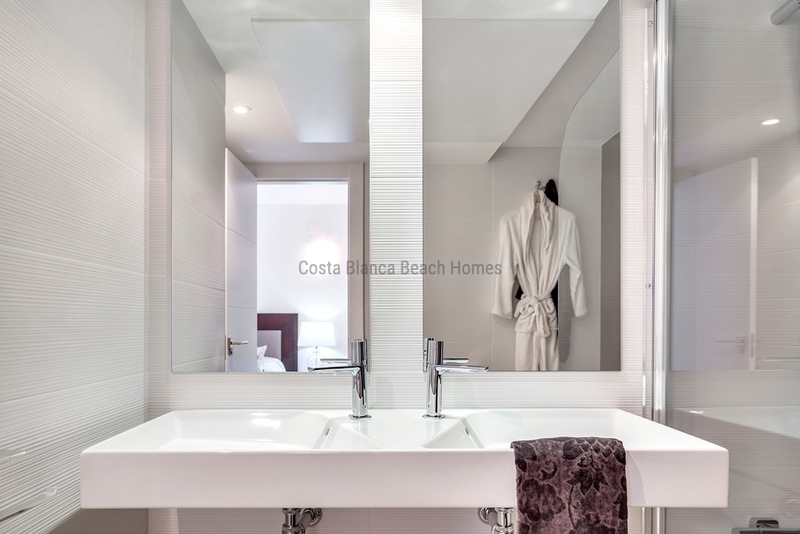 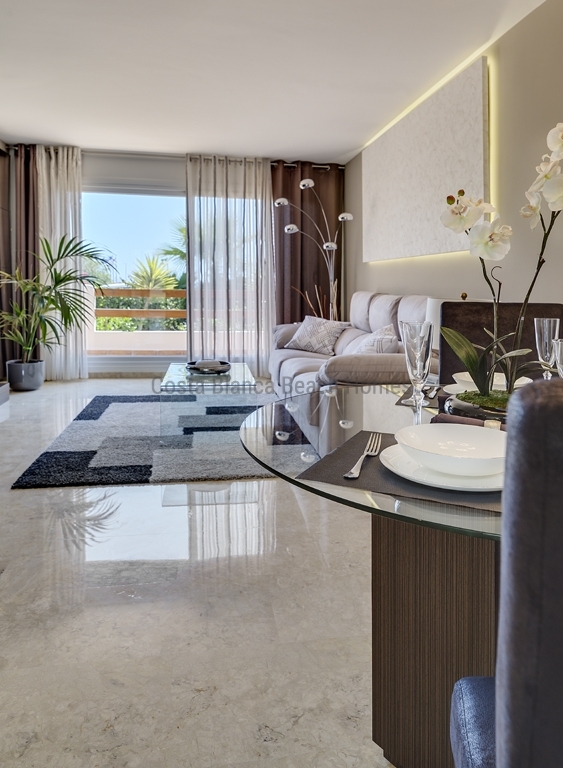 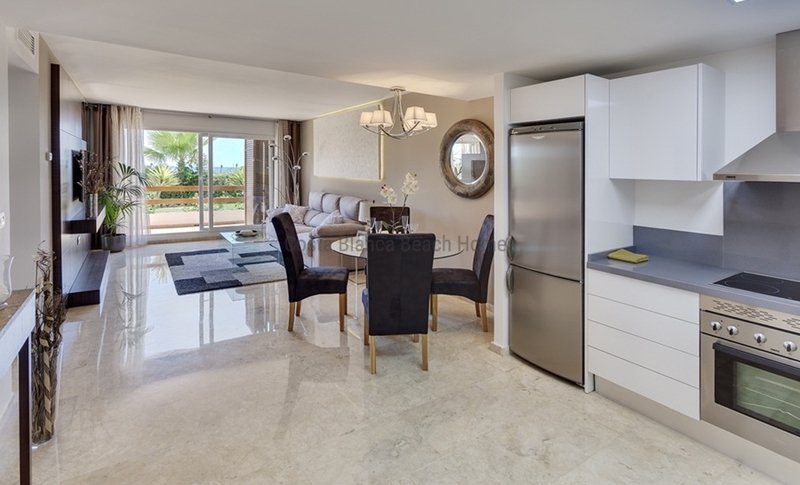 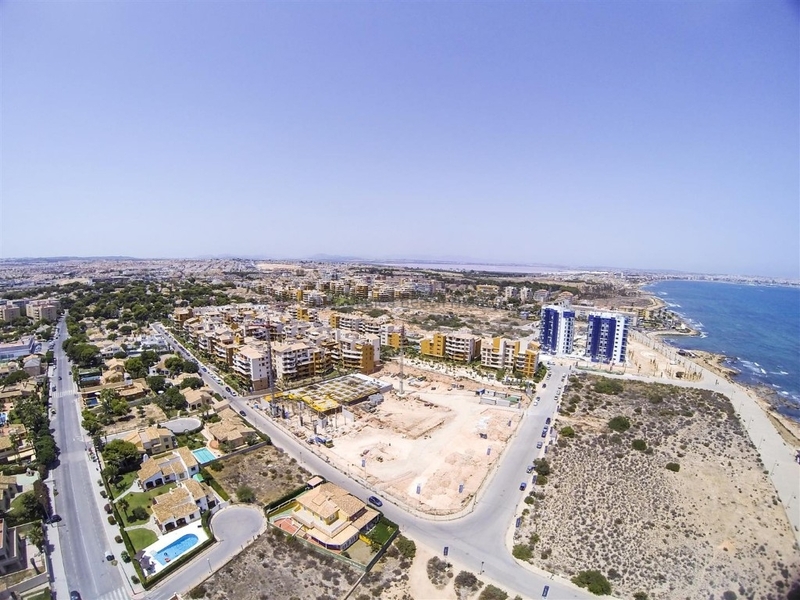 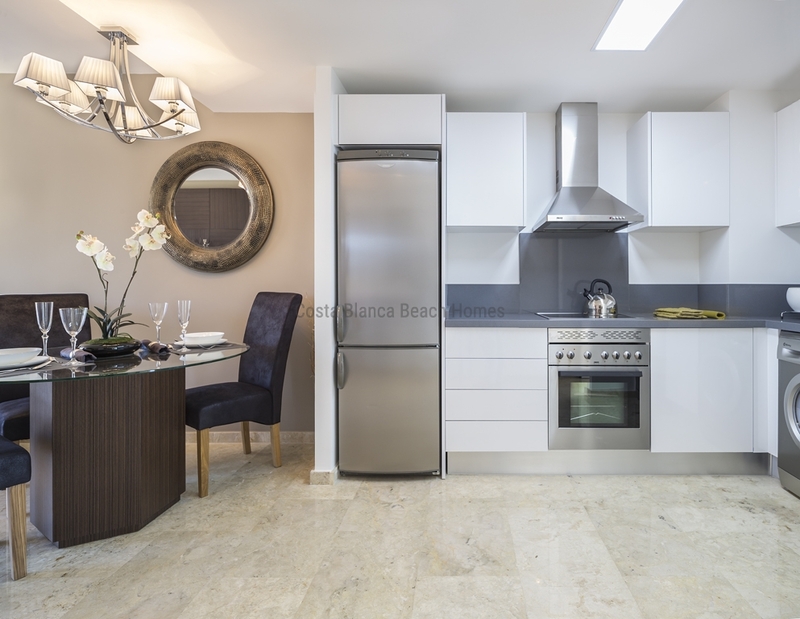 This beautiful newly built apartment is ideally located near the beach and all amenities, it is a good opportunity to have your house in the best location in the Costa Blanca, where you can enjoy the sea, shops and golf. 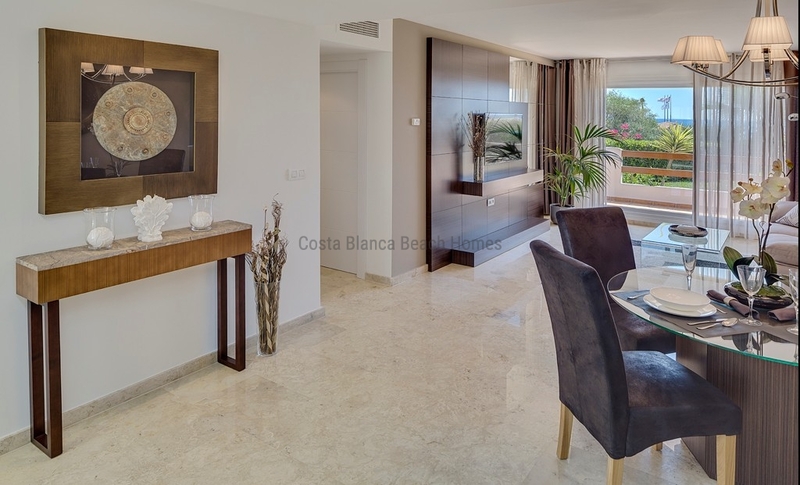 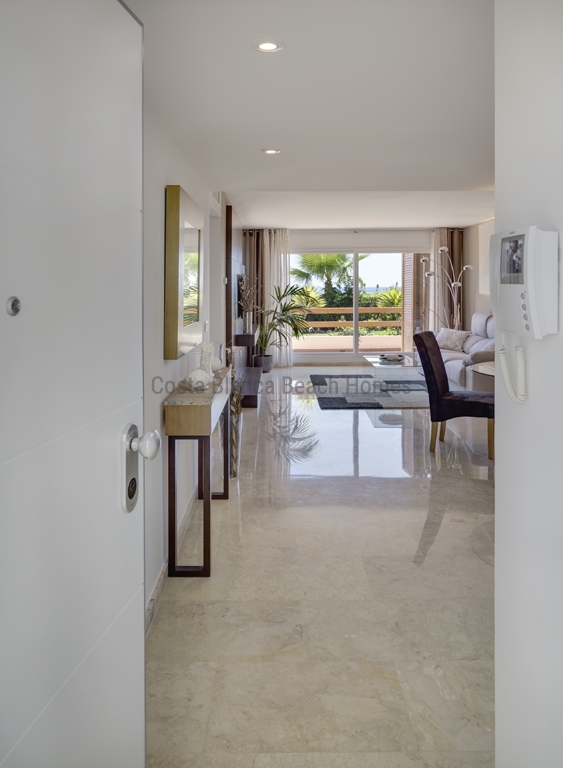 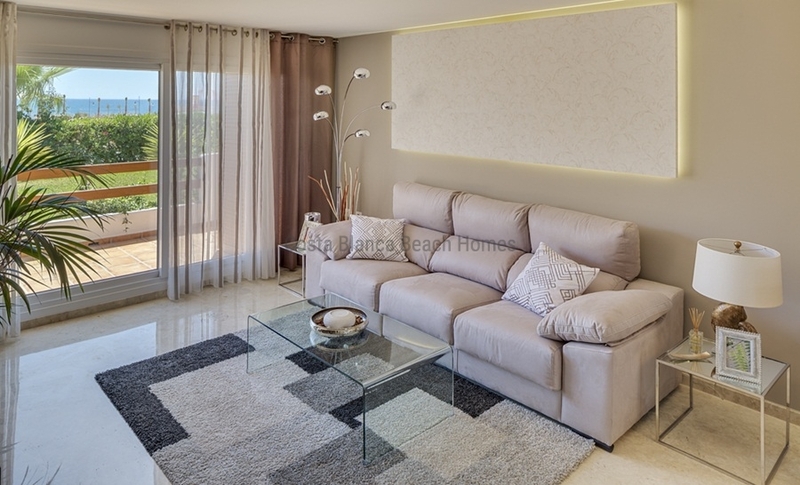 High quality materials, very modern and in a gated complex with pool and gardens. 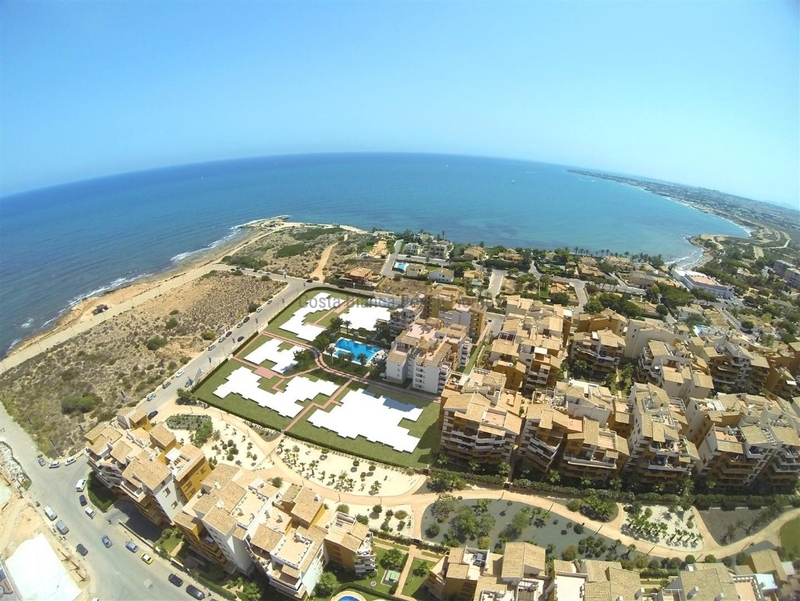 Distance to amenities: 0.100 km.